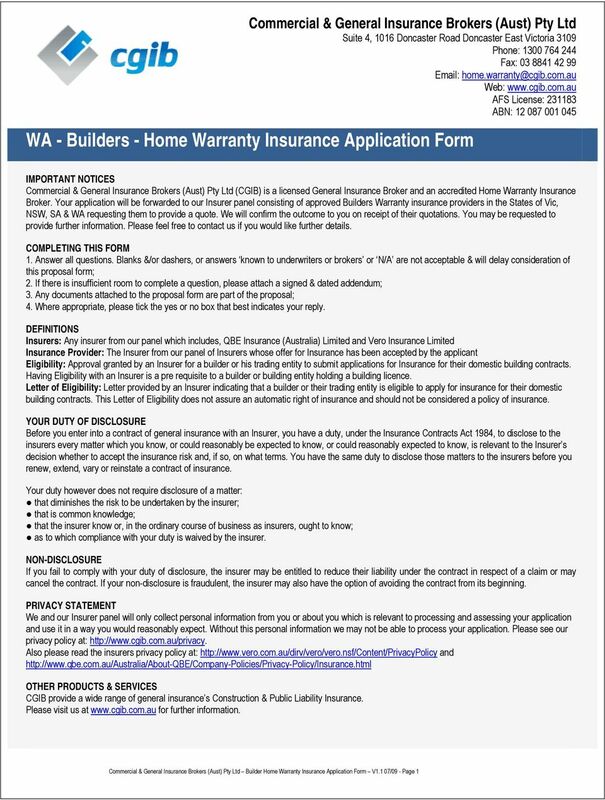 Download "WA - Builders - Home Warranty Insurance Application Form"
Victorian Residential Builders Warranty Application for Eligibility for Domestic Building Insurance For builders up to $5 million in annual turnover. 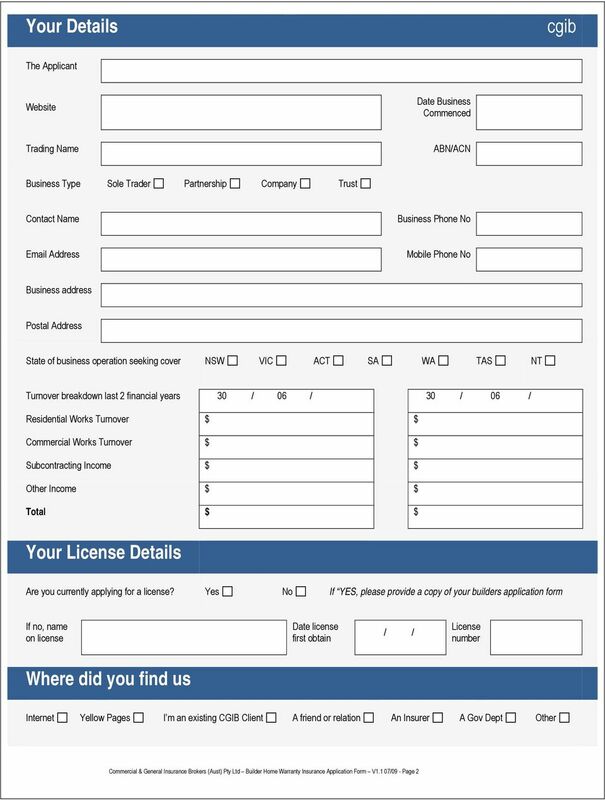 Important Notice Relating to this Proposal PLEASE READ THE FOLLOWING ADVICE BEFORE PROCEEDING TO COMPLETE THIS PROPOSAL FORM. 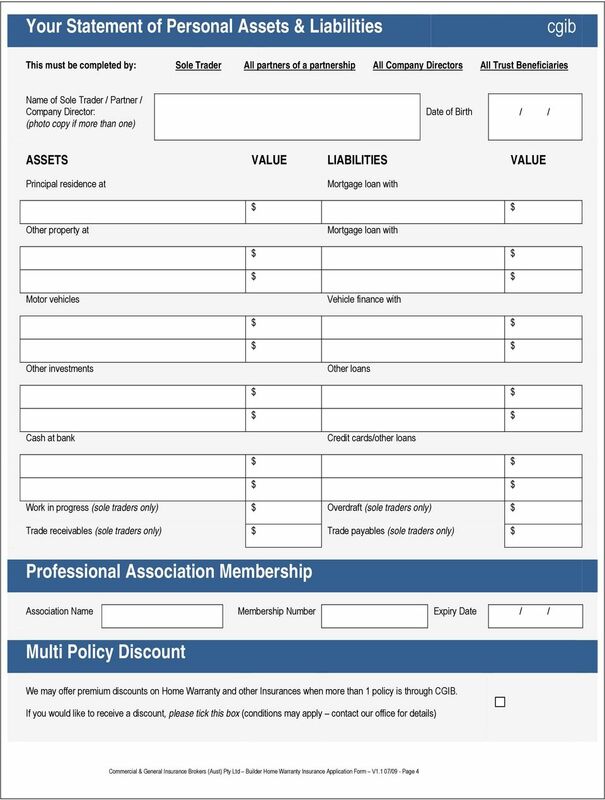 Your Management Liability Insurance Policy is issued on a CLAIMS MADE basis. 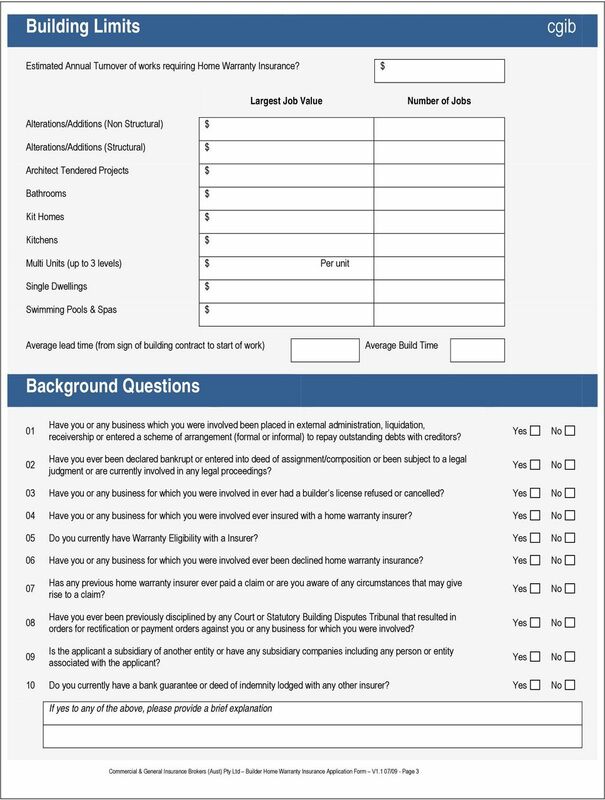 PROFESSIONAL INDEMNITY INSURANCE PROPOSAL FORM Answer all questions. Blanks &/or dashes, or answers known to underwriters or brokers or N/A are not acceptable & will delay consideration of this proposal. 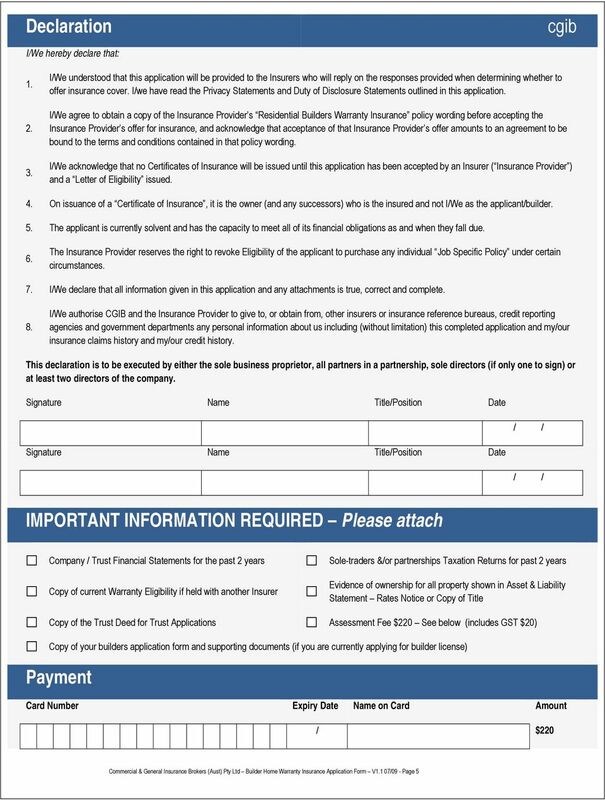 PROFESSIONAL INDEMNITY INSURANCE PROPOSAL FORM IMPORTANT NOTICES Claims Made Insurance Your professional indemnity policy is issued on a claims made basis. This means that the policy responds to: - 1.